Stuff chicken with lemon halves, garlic gloves and fresh thyme. Sprinkle chicken with fresh thyme, salt and pepper. 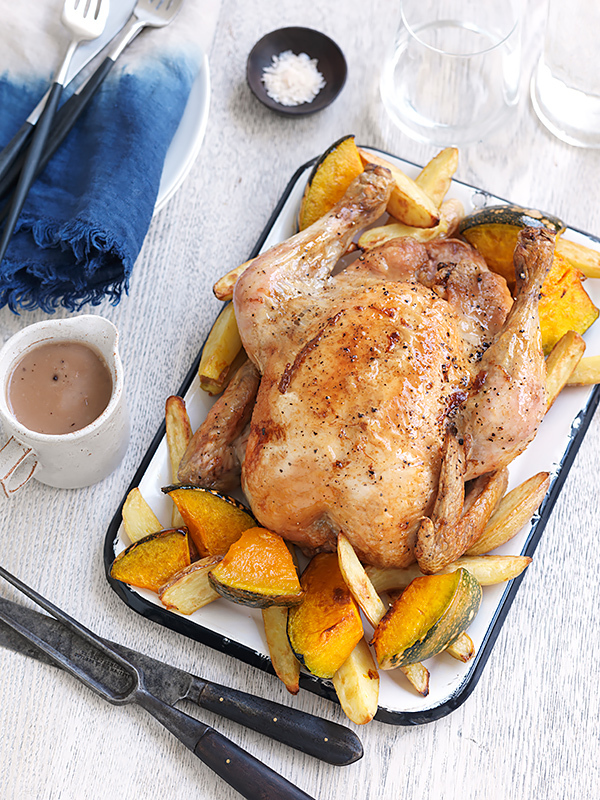 Place in roasting pan and surround with potato and pumpkin wedges. Brush chicken and vegetables with olive oil. Place breast side down on glass shelf in middle shelf position.